Luke plays Neverwinter Nights: Enhanced Edition on NVidia Shield and Samsung S8. 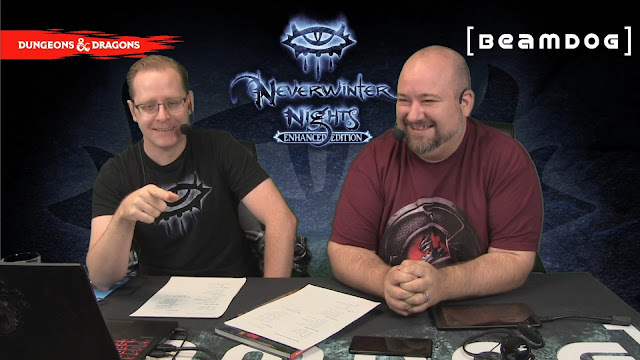 Today Beamdog Producer Luke Rideout and Marketing & PR Manager Lee Guille shared the latest studio news, updates and plans on Neverwinter Nights: Enhanced Edition and the Infinity Engine EEs. Luke showed the current state of Neverwinter Nights: Enhanced Edition on Android (everything showcased is still work in progress). It was so exciting to meet local fans during the Edmonton Expo. Trent dressed up as Minsc and Luke worked on his best Winthrop lines! 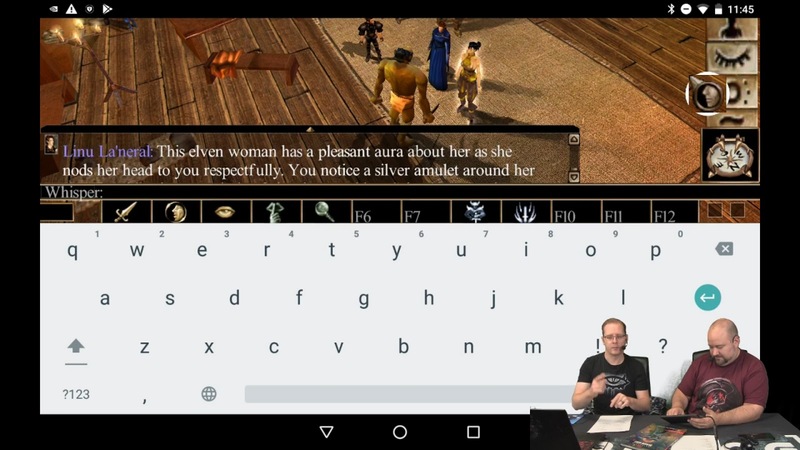 Local fans at the Edmonton Expo got some hands-on time with Neverwinter Nights: Enhanced Edition for Android. We’re already working through the feedback you provided. 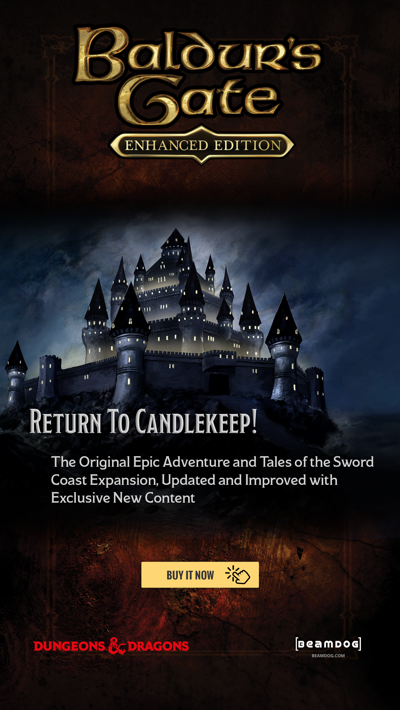 Siege of Dragonspear for Android and iOS is on its biggest sale yet! 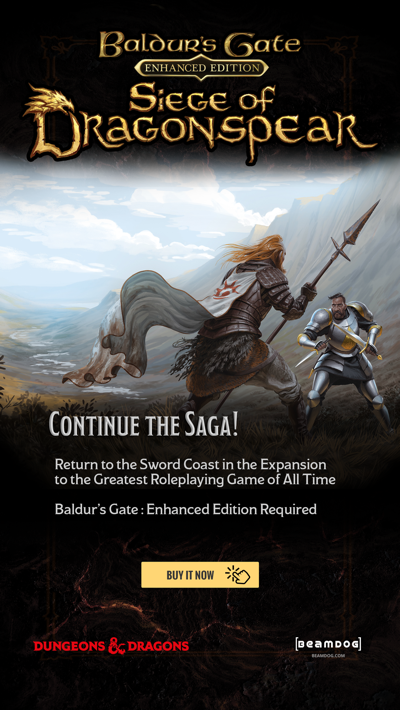 Save 60% on an exciting adventure through new regions of the Sword Coast! Sign up for our newsletter, and be the first to know about our sales, news, contests, and more! We’re hiring! If you’re a web developer, programmer, or technical artist - apply! Shy about creating a Phil Killah module? How about a Nuke Lukem forever one?! The 2.5 builds for Baldur’s Gate: Enhanced Edition, Baldur’s Gate II: Enhanced Edition, and Icewind Dale: Enhanced Edition for the Mac App Store are out! Check out the full announcement here. Bringing the 3.1.4 build for Planescape: Torment: Enhanced Edition to other platforms is something we’re working towards! Just like the 2.5 builds for the Mac App Store, it does need a fair amount of testing. We don’t have any specific ETA, but Luke hopes to get it into your hands pretty soon, especially for GOG players! The Dice, Camera, Action! voice and portrait pack is back on track! The portraits from the pack are almost complete, and we’ll soon start working on our contest winners portraits. The 2.6 patch for BG:EE, BGII:EE, IWD:EE, and Siege of Dragonspear will come at the same time the Dice, Camera, Action! Enhanced Edition pack is released. We want to get the 2.6 patch out on all the platforms simultaneously, including the Mac App Store. We’ve done a lot of bug-fixing for the 2.6 patch. There are 65 (!) spells now fixed to correctly follow the rules. The 2.6 patch isn’t the last for the Infinity Engine Enhanced Editions! These games might be 20 years of old soon, but we love them, and plan to continue polishing them up! If you encounter a bug, or another issue while playing our games, reach out to our support. Charles is doing a fantastic work there, so don’t be shy, and share your problem! 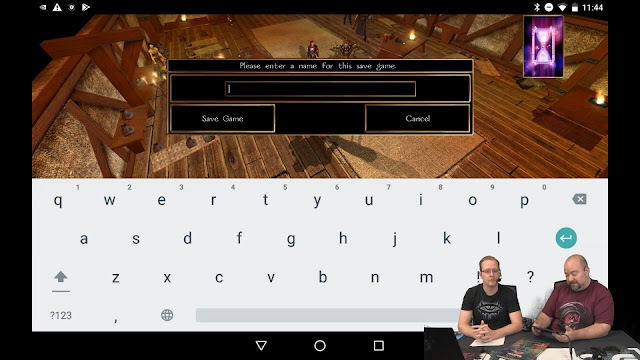 Saving games and whispering in Neverwinter Nights: Enhanced Edition on Android is very easy! 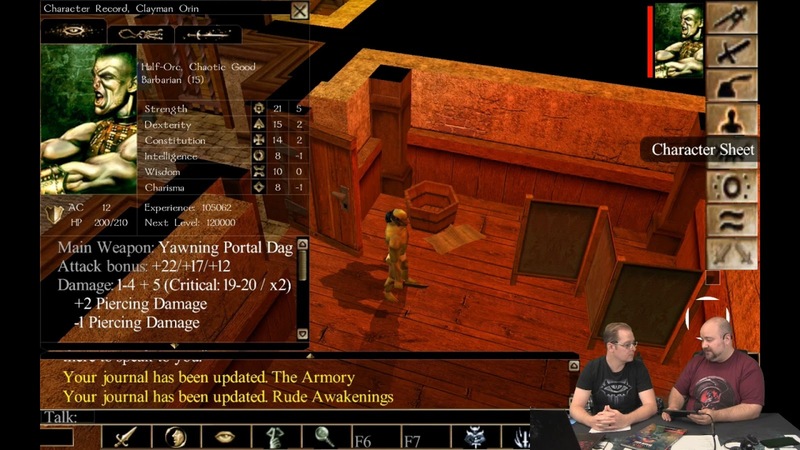 Neverwinter Nights: Enhanced Edition Development Build 8181 is available in the Beamdog Client and on Steam! It addresses a few community-found issues from the previous development build. Check out the full list of fixes here. We have a gold candidate of the NWN:EE GoG build. It’s something we’ve been working on with GOG for some time. We’re coordinating with them on the release date. Ossian Studios continue to work on overhauling models and textures for Neverwinter Nights: Enhanced Edition. They’re fantastic at what they do, and we’re happy to work with them. We’re making progress on creating achievements for Neverwinter Nights: Enhanced Edition. Elysse is playing the Original Campaign, and making notes. We’re also thinking about adding achievements for Shadows of Undrentide and Hordes of the Underdark. We don’t have plans to port the Neverwinter Nights Toolset to mobile, as the Toolset and the game are two different beasts. Neverwinter Nights: Enhanced Edition on Android will come with much more flexible UI scaling (like x1.4, for example). All improvements will be then ported to the PC version. Better optimisation, and a broader spectrum of bug fixes, will be coming to NWN:EE after all the major features are done: the 64bit support, the “NWSync”, the mobile version. While recording professional V/O into different languages is pretty expensive, we’re open to including fan-made V/O into the Enhanced Editions! Although Phil is no longer at Beamdog, send your Kill Phil modules to us, and we’ll continue our tradition to kill Phil! There’s only one person who’s got a shiny forum badge for the Phil Killah module, you can get it too!